Rosie McEachan is the Programme Director for Born in Bradford, and co-Director of the Better Start Bradford Innovation Hub. 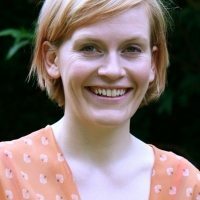 Rosie is an experienced behavioural scientist with particular research interests in: the development and evaluation of complex interventions, environmental determinants of health, green space, and applied health research. She has a wide array of research skills including advanced qualitative and quantitative methods, intervention development, and behaviour change methodology. She has attracted income of £3.5 million as Principal Investigator, and over £11 million as co-applicant since 2012 from a range of funders including: NIHR, MRC, ESRC, Wellcome Trust, Big Lottery, British Heart Foundation, and EU funders. She is also a visiting Associate Professor with the School of Psychology at the University of Leeds. Working with the amazing and dedicated BiB team. They are wonderful people to work with. Looking after my two boys, walking in the countryside and running (when time permits)!